Remington Hotels presents a peek into THE Leadership Conference, an annual event bringing together over 350 field and corporate office leaders as well as partner sponsors to mark successes and to set the vision for the year ahead. The EVOLVE theme for the conference this year - held at the beautiful Hilton Orange County/Costa Mesa - was fitting as Remington highlighted three large hotel acquisitions in the past six months and a leadership team stacked with impressive accomplishments. The company revealed plans that respect the foundation of the past while creating impressive, forward-thinking future goals. 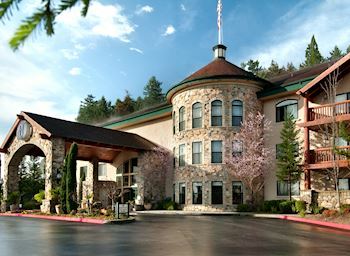 On February 27, 2019, Ashford Hospitality Trust Inc. has selected Remington Hotels to manage Hilton Santa Cruz/Scotts Valley. This acquisition adds another unique property to Remington's large portfolio of hotels. Located in a mountain retreat setting, it's an ideal base for visiting Silicon Valley, the wine route, and the Santa Cruz Beach Boardwalk. The spacious rooms and suites feature views of the forest, hill country or city and upgraded rooms offer a fireplace or private balcony along with a separate living area - providing a relaxing home away from home. 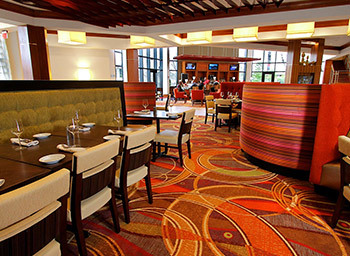 The on-site restaurant, Stonehouse Bar and Grill, offers Californian cuisine from brunch until dinner. Swim laps in the heated outdoor pool, bordered on three sides by the redwood forest or recharge with a workout in the fitness center with modern cardio equipment and fitness studio. With stunning surrounding views, the Veranda offers the ideal venue for outdoor events, or take the party inside to the Forest ballroom accommodating up to 300 guests. 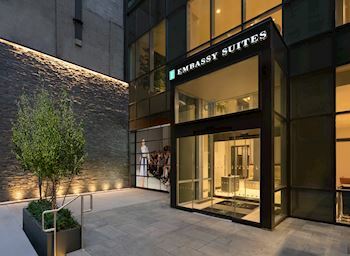 On January 23, 2019, Ashford Hospitality Trust Inc has selected Remington Hotels to manage Embassy Suites by Hilton New York Midtown Manhattan. This acquisition adds another strong urban property to Remington's large portfolio of hotels. Soaring 39 stories with supreme views over the iconic New York City skyline, the Embassy Suites by Hilton New York Midtown Manhattan is the place to see and be seen. The hotel's studio suites are elegant spaces featuring semi-private living areas with sofa bed, complimentary WiFi, a 42-inch HDTV, desk, mini-fridge, microwave and coffeemaker with some rooms offering a balcony or city view. Located in the heart of Midtown South, this Manhattan hotel is steps from famous Fifth Avenue shops and blocks from Times Square attractions like the Empire State Building, Grand Central Terminal, Rockefeller Plaza, Radio City Music Hall and the Museum of Modern Art (MoMA). Guests can choose to dine in at the two available on-site restaurants: The Heist Lobby Bar, or the Skylawn Café (open seasonally), which includes a one-of-a-kind outdoor social space to meet friends, hold events, and dine outdoors. This property also offers 575 square feet of indoor meeting space and 3560 square feet outside. Other amenities include a 24-hour fitness center, business center, and the Suite Shop. Remington Hotels is delighted to announce that Jay Hubbs, Senior Vice President of eCommerce, has been named one the Top 25 Extraordinary Minds of 2018 by the Hospitality Sales and Marketing Association International (HSMAI). This prestigious award honors twenty-five of the hotel and travel industry's most innovative thinkers, deemed the ‘best and brightest', recognizing their contribution to the industry and their success in delivering exceptional results. Jay, who has in the past held the position of Chair of HSMAI's Digital Marking Council and advised on the organization's Revenue Management Advisory Board, will be recognized for this achievement at the HSMAI Adrian Awards Gala, held at the New York Marriott Marquis early next year. In the words of President and CEO of HSMAI, Robert A. Gilbert, Jay and his fellow honorees "fuel advancement and inspire innovation across our industry, in addition to contributing to the success of [their] own hospitality, travel, and tourism organizations". Jay has been with Remington since 2013 and is an active leader in cultivating the future of Digital Marketing in the hospitality industry. On October 31, 2018, Ashford Hospitality Trust Inc has selected Remington Hotels to manage La Posada de Santa Fe, A Tribute Portfolio Resort & Spa in Santa Fe, NM. 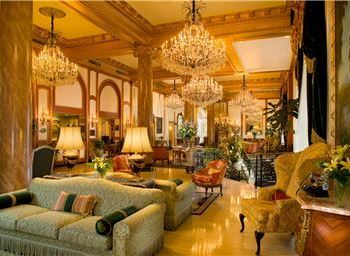 This acquisition adds another iconic & historic property to Remington's rich portfolio of hotels. 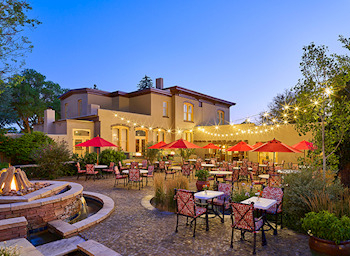 Nestled near the bottom of the Santa Cristo Mountains and just off Santa Fe's Historic Plaza, La Posada de Santa Fe, A Tribute Portfolio Resort & Spa offers a rich history dating back to the 1880s. Each of the beautifully restored 157 rooms and suites offer something just slightly different like the original adobe walls, traditional viga (exposed beam) and latilla (exposed wood slat) ceilings. Located on 6 acres, the resort has many amenities to please all types of travelers. With multiple restaurants and bars on-site honoring the original owner's wife who haunts the property, guests can chose from Julia - A Spirited Restaurant & Bar, The Stabb House, Patio Restaurant and Julia's Social Club. The hotel's Spa Sage was ranked 4th in USA Today's Best Hotel Spa rankings. 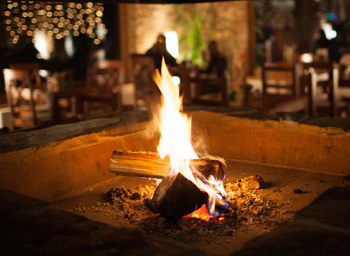 Groups can utilize 4,500 square feet of indoor meeting space and over 2,000 square feet outside for unique Southwestern social and corporate events. Other amenities include a year-round saline outdoor pool and hot tub, and 24-hour fitness center. Remington Hotels' new COO Sloan Dean believes, "the catalyst for change is to add depth and scale to its organization and to recognize and lift up its talent." March marked an active month for Remington associate promotions. Stan Kennedy, an 11 year leader on the Remington team, stepped into the newly created role of Senior Vice President of Operations. 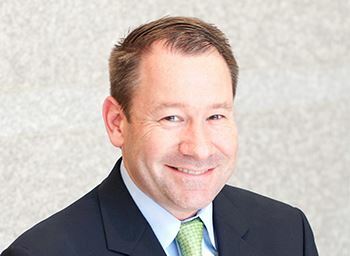 The General Manager of Hilton Boston Back Bay, Dominque Marty, who joined Remington in 2011, took over Mr. Kennedy's former position as Divisional Vice President of Operations supporting Remington's Hilton hotels. Sileshi Mengiste, who has an excellent track record and a long history of managing Remington's luxury properties has been promoted to DVP of Operations and will add the Silversmith Hotel Chicago Downtown to his division. Jale Hashimi, a rising star in Remington in the Luxury Division, was also promoted to DVP of Operations and added the WorldQuest Orlando Resort, Le Pavillon Hotel, and the Lakeway Resort and Spa and to her division. To round out the Luxury and Independent portfolio, multiple GM and Hotel of the Year winner Joe Dantoni has also been promoted to DVP of Operations, with Remington's two Annapolis hotels added to his division. Divisional Vice President Jerry Galligan, due to his continued strong contribution to Remington, has been tasked with managing three additional hotels; Hilton Parsippany, Hampton Inn Parsippany, and Hilton Garden Inn Virginia Beach Town Center. Finally, Chandler Vadhera, has been promoted to Vice President/General Manager, managing the Dallas/Ft Worth Airport Marriott and the Dallas Marriott Suites Medical/Market Center. On these promotions, COO Sloan Dean said, "I am excited to announce promotions and enhancements to the Operations leadership team. The catalyst for the changes is to add depth and scale to our organization, as well as to recognize and lift up talent. 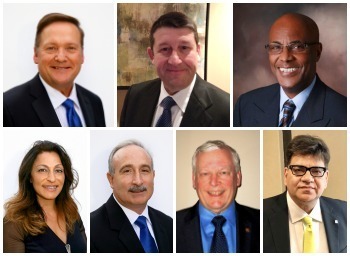 Remington recognizes the dedication and hard work of its associates and will continue to look for opportunities to promote from within, so please join me in congratulating Stan, Dominique, Sileshi, Jale, Joe, Jerry and Chandler." In February 2018, the Renaissance Palm Springs hotel proudly welcomed Remington's annual Leadership Conference. Over 300 attendees at this year's Conference included all hotel GMs and DOSs, as well as corporate leaders and key partners. Attendees participated in thought leadership workshops, keynote presentations, exhibits by vendors, a golf outing, as well as a volunteer opportunity to assist the local Angel View Resale Store which supports children and adults with disabilities. The conference black tie gala celebrated the dedication of our associates and recognized the winners of Remington's Achievement Awards. 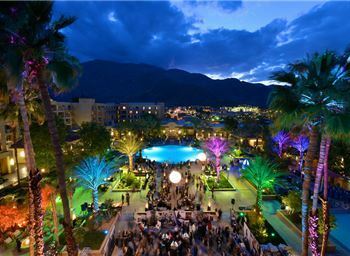 The Renaissance Palm Springs, the host hotel for the event, earned Hotel Renovation of the Year. The multi-million dollar renovation included public space, guest rooms, restaurant and meeting space. Each year six General Managers and six Sales team members are nominated for annual awards. 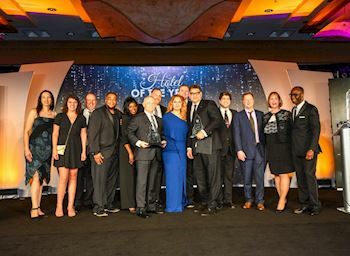 This year's winner of Sales Person of the Year was Mike Edwards from the Las Vegas Embassy Suites and William Gheen from the Fremont Marriott took home the coveted General Manager of the Year award. The honor of Hotel of the Year was presented to the iconic Historic Inns of Annapolis. Vice President and General Manager Daryl Strayer accepted the award on behalf of his team. Additional winners included: Samantha Paull from the Sheraton Bucks County won Controller of the Year, Samara Jones from our One Ocean Resort and Spa received the Human Resources Leader of the Year; and a noteworthy win for the category of Revenue/eCommerce Manager of the Year went to Traci Boklage, eCommerce Director who oversees all eCommerce and Digital Marketing initiatives for the Luxury and Independent hotels. On January 8th, CEO Monty Bennett announced Sloan Dean as the new Chief Operating Officer of Remington Hotels. Sloan comes to Remington from sister company Ashford, where he held the position of Senior Vice President of Revenue Optimization & Underwriting. He brings over 20 years of experience in Business Development, Revenue Management, and Sales and Marketing to Remington. At Remington Hotels, Sloan is tasked with overseeing the operations, management, and success of over 85 hotels across 16 different brands and several independent hotels. He will report directly to CEO Monty Bennett. On his new role, Sloan remarked, "I'm honored to have the opportunity to lead Remington into the next phase of our future, continuing our strong Five Driver and Leading Principles culture, while renewing our focus on our associates, our guests, and delivering superior results." Prior to Ashford, Sloan served as Vice President of Business Development & Acquisitions at Interstate Hotels & Resorts. Before Interstate, Sloan was Senior Vice President of Revenue & Market Strategy for Alliance Hospitality Management, Corporate Director of Revenue Management for Noble Investment Group, as well as positions at IHG, and Oliver Wyman. 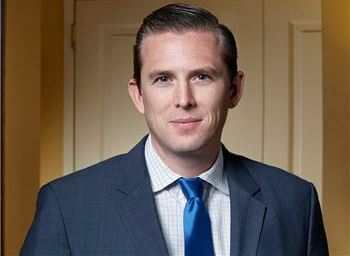 Mr. Dean was honored by HSMAI as one of the "Top 25 Most Extraordinary Minds in Sales and Marketing" in 2012. He was also recently highlighted in HOTELS Magazine's inaugural People Issue. Remington's president, Mark Sharkey said, "It is an honor to have seven of our properties within the Luxury Division recognized by the readers of Condé Nast Traveler I am very grateful for our devoted team of associates at each of these hotels who work tirelessly to offer an exceptional guest experience. Without their hard work and dedication, this recognition would not have been possible." Remington Hotels has taken over management of the Dallas/Fort Worth Airport Marriott. 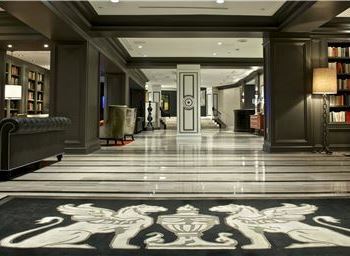 The hotel features a newly renovated lobby to complement sylish guest rooms and elegant event spaces. The hotel offers over 20,000 of renovated meeting space, perfect for meetings and events of all sizes. In May, Ashford Prime, Inc., announced it completed the acquisition of the 80-room Hotel Yountville in Yountville, CA and selected Remington Hotels to manage the property. 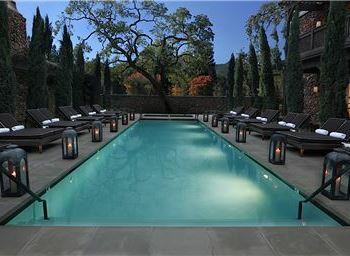 The Hotel Yountville was originally built in 1998 and in 2011 underwent an extensive expansion and renovation that upgraded all guestrooms, including 29 newly-built guestrooms, and added a restaurant, spa, meeting space, outdoor pool, and lounge patio. The hotel offers exceptional amenities, including large, well-appointed guestrooms and suites with private patios/balconies, the acclaimed Hopper Creek Kitchen restaurant and bar, in-room dining service, complimentary wine tastings, an on-site spa and over 4,400 square feet of indoor and outdoor meeting space. The property's outdoor amenities include a resort-style outdoor heated pool and lounge, lush landscaping and water features, and the availability of complimentary bicycles for guest use. 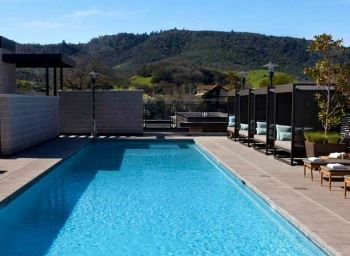 Nestled in the heart of Napa Valley, the Hotel Yountville offers luxury accommodations at the crossroads of delectable wines, epicurean delights and outdoor adventures. Most Florida vacations are typically defined by one of three things: Gulf Coast "salt life" culture, buzzy South Florida fashion and nightlife, and Orlando family fun. Sitting pretty just across the Intracoastal Waterway from Jacksonville, One Ocean Resort & Spa refuses to fit conventional Sunshine State stereotypes, offering instead a bucolic beach retreat alternative that strikes a simultaneous balance between comfort and luxury. Ashford Hospitality Trust, Inc. announced that it has completed the acquisition of the 142 room Hotel Indigo Atlanta Midtown and has officially selected Remington Hotels to manage the property. 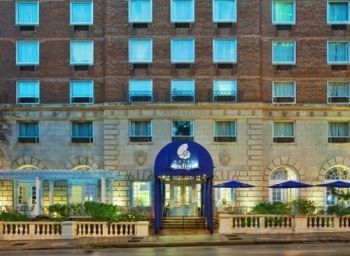 The Hotel Indigo Midtown is a historic hotel located in the heart of Atlanta Midtown. Our soul-infused hotel design is influenced by the Fox Theatre, located directly across the street. The hotel offers well-equipped rooms as well as approximately 950 square feet of meeting space. Amenities include on-site concierge services, pet friendly accommodations, 24 hour fitness center, complimentary high-speed internet access and Midtown Bar and Bistro. The Hotel Indigo Atlanta Midtown is no ordinary hotel with its vibrant, colorful hues, elegant furnishings and inspiring, artistic flair. 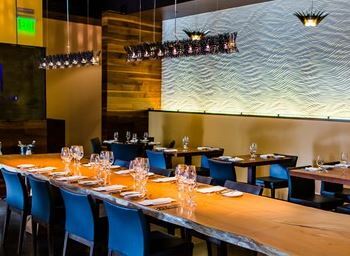 Lucy Restaurant & Bar is located in Yountville's famed Bardessono Hotel & Spa, one of only 7 LEED Platinum certified 'green' resorts in the world. Set in the heart of Napa Valley, where wine lovers and food-savvy travelers make their way yearly to discover what the season has to offer, Lucy perfectly pairs seasonal delights with local wines. Haute Living recently paid a visit and claims a trip to Yountville simply to dine at Lucy is well worth the trip. From the relaxed yet elegant ambiance, to Chef Nate Lindsay's creative farm-to-fork fare, to the "I Love Lucy" inspired cocktails, Lucy will certainly inspire the casual Napa visitor and the experienced epicure alike. Click here to read the full article. Haute Living recently paid a visit and claims a trip to Yountville simply to dine at Lucy is well worth the trip. From the relaxed yet elegant ambiance, to Chef Nate Lindsay's creative farm-to-fork fare, to the "I Love Lucy" inspired cocktails, Lucy will certainly inspire the casual Napa visitor and the experienced epicure alike. 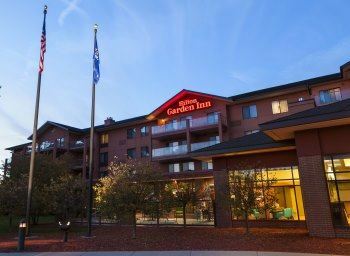 Ashford Hospitality Trust, Inc. announced today that it has completed the acquisition of the 128-room Hilton Garden Inn Wisconsin Dells and has officially designated Remington Hotels as property manager. 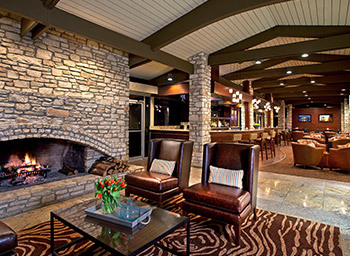 Adjacent to world-famous Del-Bar Restaurant and nearby Lake Delton, Hilton Garden Inn Wisconsin Dells offers well-equipped guestrooms and suites as well as approximately 4,000 square feet of meeting space. Amenities include an indoor pool, fitness center, 24-hour convenience store Pavilion Pantry, the Garden Grille & Bar restaurant, complimentary on-site parking and high-speed internet access. Ashford Hospitality Trust, Inc. announced that it has signed a definitive agreement to acquire the 62-room Bardessono, and the property will be managed by Remington Hotels. Bardessono is located in the heart of Yountville, California, just minutes away from renowned Napa Valley restaurants and vineyards. The LEED Platinum Certified property features large, lavish guestrooms with in-room spa services, organic linens, private courtyards, expansive bathrooms, fireplaces, and many sustainable luxurious features. In addition to the guestrooms, the hotel includes the acclaimed Lucy restaurant, which focuses on local field-to-fork dining and organic ingredients. Amenities include a full-service spa, rooftop swimming pool, hand-crafted bath products and artisan-inspired coffee. The Beverly Hills Marriott, formerly the Crowne Plaza Beverly Hills, is a 260-room hotel with a prime location on Beverly Drive, between Olympic and Pico Boulevards. 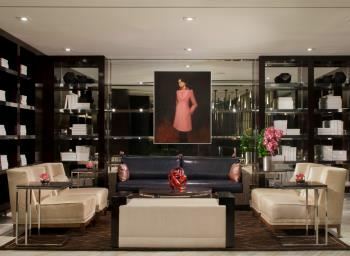 The property is the only full-service Marriott Hotel in the Beverly Hills/Century City/West Los Angeles market. 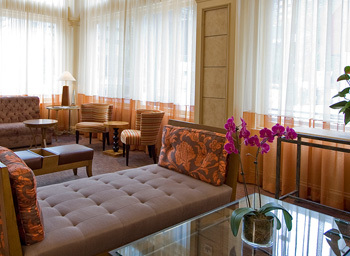 The hotel boasts an excellent location within walking distance of the Beverly Hills Triangle and its famed Rodeo Drive. 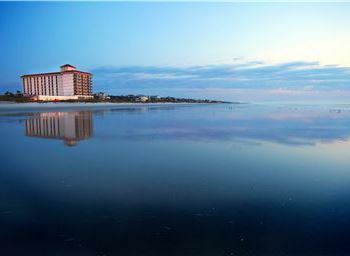 The rebranding follows an extensive $26 million renovation of all guest rooms, public spaces, and exterior enhancements. Highlights include a completely renovated lobby featuring Marriott's Greatroom concept, a new full-service restaurant and separate lobby bar, and the Club Lounge providing private food and beverage services for the hotel's concierge guests. The expanded and modernized outdoor pool area offers a spacious deck for receptions, as well as oversized chaise lounges and dining spaces, creating an outdoor living space for guests to enjoy year round. The newly-minted Beverly Hills Marriott will continue to be managed by Remington Hotels. Located in the heart of downtown New Orleans, Hotel Le Pavillon sits adjacent to the historic French Quarter and is only five short blocks to the famous Bourbon Street. This grand property has 219 exquisitely appointed guest rooms, 7 uniquely designed suites and 12 versatile meeting rooms. Hotel amenities include a rooftop heated pool, an executive fitness center, the Gallery Lounge bar, and an award-winning restaurant, the Crystal Room. Ashford trust completed the purchase of nine hotels in deals totaling $224 million. The purchase includes five Hilton holdings, three Marriott hotels and one Starwood property, which will add 1,251 rooms to its holdings. Remington Hotels will manage the properties. The eight select service hotels and one full-full service hotel are in Boston, Massachusetts; Wichita, Kansas; Columbus, Ohio; Pittsburgh, Pennsylvania; Phoenix, Arizona; Stillwater, Oklahoma; and Ann Arbor, Michigan. "We are excited to have completed this accretive transaction which allowed us to further expand the geographic footprint of our diverse portfolio with well-located assets affiliated with strong and diverse brands," Ashford Chairman and CEO Monty J. Bennett said in a statement. "With the installation of Remington property management at all of these properties, we look forward to being able to realize solid increases in operating performance at these hotels." Ashford Hospitality Trust, Inc. announced today that it has signed a definitive agreement to acquire the 168-room Lakeway Resort & Spa, and the property will be managed by Remington Hotels upon closing. The Lakeway Resort & Spa is located on the southern bend of Lake Travis in the high-growth northwest corridor of Austin a short drive from the downtown area. The lakefront property features four separate buildings with 168 well-equipped guestrooms and approximately 24,000 square feet of meeting space including four large flexible ballrooms. In addition to the guestrooms, the hotel controls 8 luxury condominium units through a rental pool agreement. Amenities include a full-service spa, 24-hour fitness center, three swimming pools, a full-service restaurant overlooking Lake Travis, as well as proximate access to golf, tennis and the Lakeway Marina. Ashford Hospitality Trust announced today that it has signed a definitive agreement to acquire the 232-room Memphis Marriott East hotel and upon closing, the property will be managed by Remington Hotels. Located in the heart of East Memphis, the Memphis Marriott East hotel is minutes away from upscale restaurants and shopping and is an ideal choice for guests visiting nearby attractions such as Elvis’ Graceland, Beale Street and Historic Downtown Memphis. The property has 232 well equipped guestrooms and 6 meeting rooms with approximately 8,960 square feet of meeting space. Hotel amenities include an indoor pool and whirlpool, 24-hour fitness center, the Delta Grill restaurant, and complimentary on-site parking. Ashford Hospitality Trust, Inc. announced today that it has completed the acquisition of the 357-room Fremont Marriott Silicon Valley and has officially designated Remington Hotels as property manager. Featuring a sleek, modern facade, the hotel offers 357 well-equipped guestrooms and approximately 15,000 square feet of meeting space spread across 19 flexible meeting areas including a 7,590 square-foot Grand Ballroom. The hotel's amenities include an indoor pool and whirlpool, 24-hour fitness center, the GREATROOM restaurant and lounge, and complimentary on-site parking. Dallas REIT Ashford Hospitality Trust said today that it has completed the transaction and purchase of boutique hotel in downtown Fort Worth, Texas. The Ashton Hotel, a 39-room historic property located on 610 Main St, reopened in 2001 after a major renovation and was sold to Ashford Hospitality by Ashton Hotel Partners. The Ashton Hotel currently features a variety of luxury guestrooms, approximately 4800 sq. ft of event space and the SIX 10 GRILLE, a popular restaurant in Fort Worth. The hotel has been home to many celebrities as well, including Michael Jordan, Tiger Woods, Warren Buffett and Bill Gates. 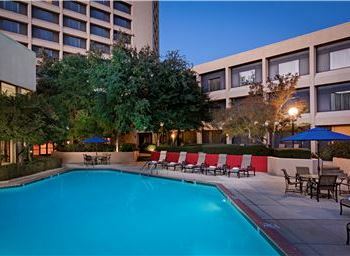 CBRE Hotels under the CBRE Group represented the seller during the transaction. Learn more about the Ashton Hotel here. Ashford Hospitality Trust, Inc. today announced that as part of the Company's ongoing asset management initiatives, it has entered into a franchise agreement to convert the 258-room, Crowne Plaza Beverly Hills to a Marriott after the expiration of the existing Crowne Plaza license agreement in March of 2015. The conversion will include an extensive product improvement plan, estimated at $25 million, to include an upgrade of the Heating, Ventilation and Air Conditioning (HVAC) system, an extensive renovation of the guestrooms and public areas, including a transformational lobby renovation, and exterior improvements which will enhance the sense of arrival for guests. The newly-minted Marriott Beverly Hills will continue to be managed by Remington Lodging & Hospitality following the completion of the conversion. 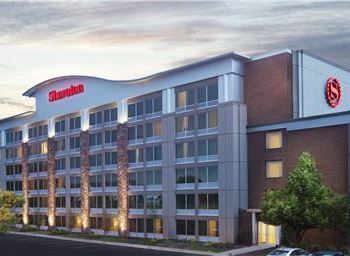 Additionally, the Company also announced that on May 31, 2013 it completed the transfer of management from Marriott to Remington Lodging & Hospitality at the full-service Marriott Suites Market Center Dallas hotel as well as six of its select-service hotels: Residence Inn Phoenix Airport; Residence Inn Newark Silicon Valley, CA; Courtyard Oakland Airport; Courtyard by Marriott Newark Fremont, CA; Courtyard Palm Desert; and Residence Inn Palm Desert; and . All of the franchise agreements include PIPs. 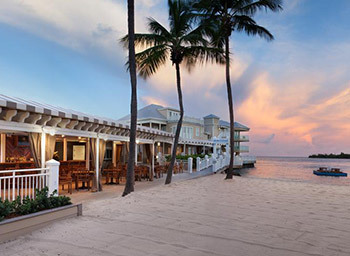 Ashford Hospitality Trust, Inc. today announced that it has completed the previously-announced acquisition of the 142-room Pier House Resort and Caribbean Spa in Key West, Florida. The Pier House Resort will be managed by Remington and bring's Remington's managed portfolio to four hotels in Key West.These include the Pier House Resort & Spa, the Inn at Key West and the Crowne Plaza La Concha Hotel, which is also owned by Ashford Hospitality Trust. The Pier House Resort and Caribbean Spa was built in 1968. It has 142 rooms including 119 guest rooms and 23 suites. The hotel has 40 waterfront facing rooms and suites, and standard guestrooms average 325 square feet, while the 23 suites average 710 square feet. Additionally, the hotel offers 2,600 square feet of meeting space, a 10,000 square foot spa with 10 treatment rooms, three food and beverage outlets including al fresco dining at HarborView Cafe and the renowned Chartroom bar, a full-service fitness facility and private dock for charter pick-ups. The hotel is located at the northern end of Duval Street in the heart of Key West on a 6-acre compound with a private beach and immediate access to the Gulf of Mexico.